In the summer of 1877, five bands of Nez Perce, including some Palouse allies, began a 1,300-mile journey from northeastern Oregon and central Idaho through Montana Territory. In less than four months, about 800 people, including 125 warriors, herded more than 2,000 horses and carried whatever possessions they could manage on this long and difficult trek. They pushed forward, not because of an eagerness to reach their destination, but because they were being pursued by U.S. Army troops under the command of General Oliver 0. Howard. Howard had orders to place them on a reservation in Idaho, in compliance with US policy at that time to place all tribes on reservations. 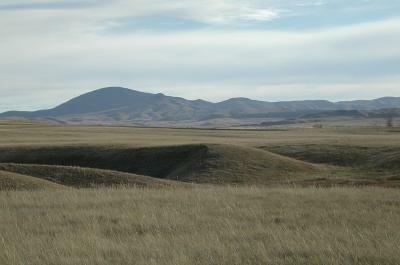 Although the Nez Perce tried to evade the pursuing soldiers, they were attacked or forced into battle at White Bird Canyon (Idaho), Clearwater River (Idaho), Big Hole (Montana), Camas Meadow (Idaho), and Canyon Creek (Montana). 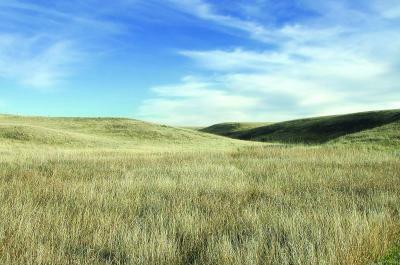 The Nez Perce traveled first to the buffalo country of the Yellowstone River to seek assistance from their Crow allies. When the Crow were unable to assist, the Nez Perce bands turned north to join Sitting Bull, who had taken refuge in Canada after the Little Bighorn Battle, just one year earlier. Knowing they were several days’ march ahead of their pursuers, the exhausted Nez Perce stopped to rest on September 29 along Snake Creek, just north of the Bear Paw Mountains and about forty miles short of the Canadian border. The Nez Perce were unaware that Colonel Nelson A. 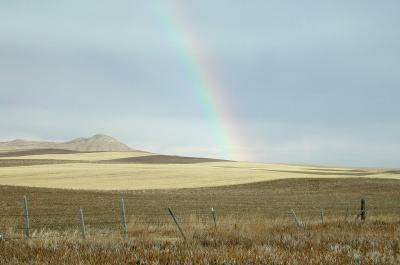 Miles had been dispatched from the Tongue River Cantonment (near today’s Miles City, Montana) to intercept them. With elements of the 7th and 2nd Cavalries, the 5th Mounted Infantry and 30 to 40 Cheyenne and non-Indian scouts, Miles’ command totaled 400 men. 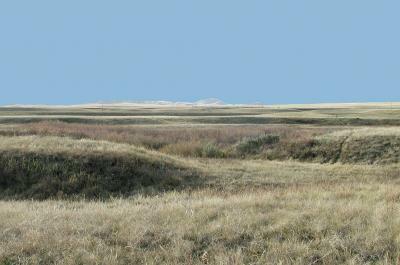 The troops crossed the Missouri River by steamer and approached the Nez Perce camp. 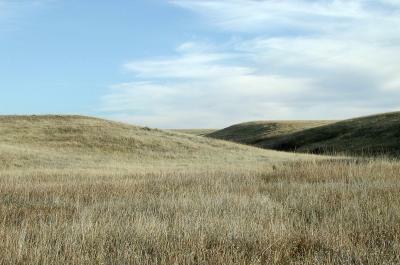 On September 29, Miles ordered his men to camp 12 miles southeast of the Nez Perce. 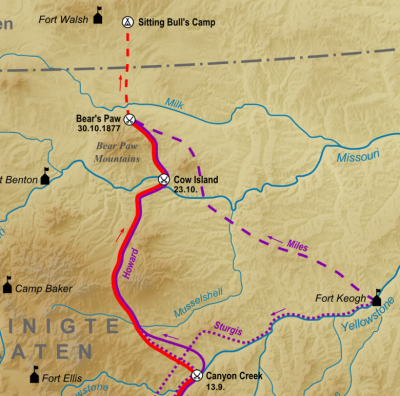 About 4 a.m. on September 30, army scouts alerted Colonel Miles of the Nez Perce camp. Miles ordered his troops to march, expecting to surprise and overwhelm the Nez Perce with a sudden attack. In the Nez Perce camp, people awoke to cold weather. Early morning calm was soon shattered as the alarm went out, “Enemies right on us … soon the attack!” The 7th Cavalry’s frontal attack resulted in heavy hand-to-hand combat. 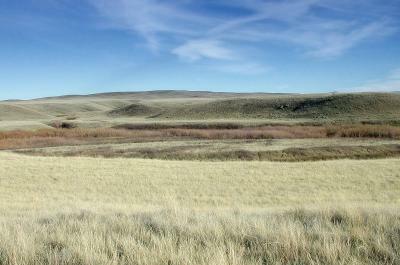 The 2nd Cavalry made a flanking movement and separated the Nez Perce from their horses. 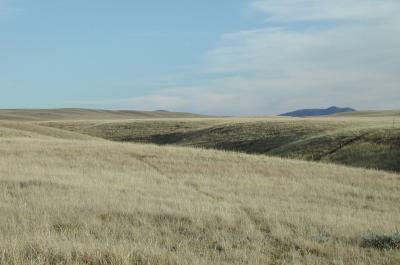 The 5th Infantry secured a high bench to the south, but the Nez Perce held their position and prevented any further advance. 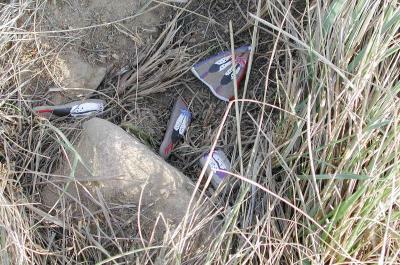 Both sides suffered heavy casualties the first day. 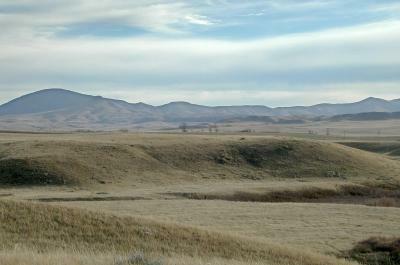 Unable to defeat the Nez Perce, the troops besieged the camp. On October 4, General Howard’s troops arrived as reinforcements. During the battle, the Army lost 23 men, and 45 more were wounded. The Nez Perce lost 30 people with another 46 wounded. Chief White Bird and about 150 Nez Perce managed a night escape from camp and fled to Canada. On the afternoon of October 5, the final day of the battle, Chief Joseph, speaking for the remaining Nez Perce, agreed to quit fighting and offered his rifle to Colonel Miles. Thus ended the Battle of the Bear Paw and the Nez Perce Campaign. During the surrender negotiations, Colonel Miles agreed that the Nez Perce could return to the Nez Perce Reservation in Idaho. He was soon overruled by his superiors. The 431 Nez Perce were first escorted to the Tongue River Cantonment in eastern Montana, then to Fort Abraham Lincoln in North Dakota, next to Fort Leavenworth in Kansas, and eventually to Indian Territory in Oklahoma. Chief Joseph and Yellow Bull lobbied for the return of their people to Idaho for the next eight years. 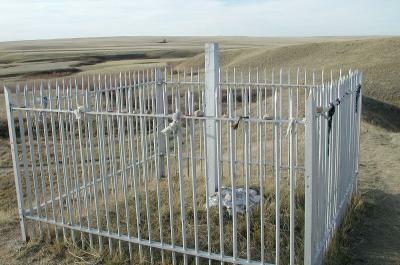 Many of the Nez Perce died in Oklahoma, a place so foreign to them. In 1885, with the support of Miles and others, 118 Nez Perce were returned to Idaho. The remaining 150, including Chief Joseph, were sent to the Colville Reservation in the state of Washington. 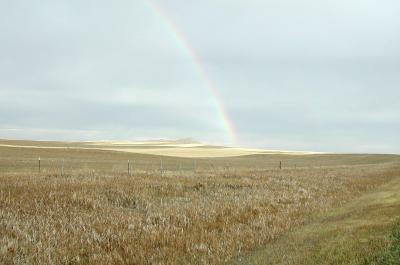 Bear Paw Battlefield is located 16 miles south of Chinook, Montana, via US Route 2 and County Road 240. 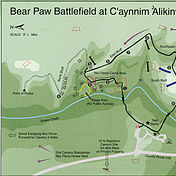 A self-guided trail, picnic tables, and restrooms are available. Overnight camping is not permitted. 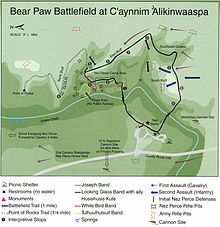 Bear Paw Battlefield is a unit of Nez Perce National Historical Park and is managed by the National Park Service. 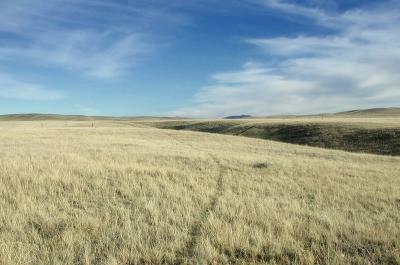 Bear Paw Battlefield is the final stop on the Nez Perce National Historic Trail. The 1,300-mile trail starts in Joseph, Oregon, and follows the path of the non-treaty Nez Perce bands during the 1877 Campaign. 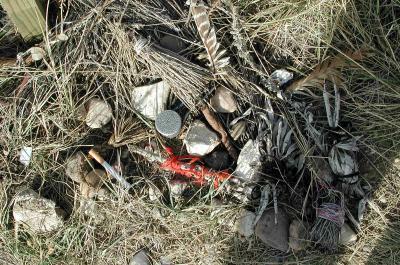 The trail passes through federal, tribal, state, local and privately owned lands. Pictures above depict monument and offerings in tribute to the dead.